When you've already got the hills. When the trails are just waiting there. When the terrain is just too inviting. When there's a challenge to conquer. The last thing you'd expect the MCM Organization to do is pack it in...but that's exactly what's happening on June 15 when the Recon Ruck is added to an already action-packed event day. 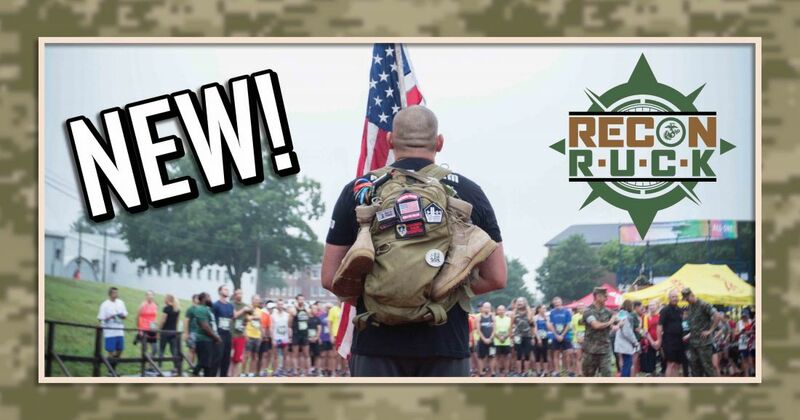 The MCM Event Series will host Recon Ruck alongside Run Amuck, the mud and obstacle event, and the Belleau Wood 8K aboard Marine Corps Base Quantico. A double, known as the Crossroads Challenge, will also be introduced. The 12-mile Recon Ruck challenges participants to complete a journey through the Base while wearing a weighted pack. This "ruck” with the Marines earns finishers a collectable velcro patch that can be sported proudly on any backpack or personal ruck. The Recon Ruck is BYOR – Bring Your Own Ruck. Weight requirements are based on the weight of the individual runner. For participants under 150 pounds, the ruck requirement is 10 pounds. For those over that weight threshold, there's a 20 pound requirement. The field is open to 250 registered participants, who will receive technical shirt. The registration fee is $45. Run Amuck: Chase thrills, blow off some steam and amp up the energy at the mud and obstacle run. This is the messiest, muddiest and most mischievous running event. Conquer over twenty challenges. Finishers get to show off a memorable challenge coin. There are multiple start times for 1,300 participants. Registration is $45. Belleau Wood 8K: Test your tenacity. Choose to run this 4.97 mile event through the woods and trails of Quantico. This 8K commemorates the battle that earned the Marines the nickname “Devil Dogs.” On this day, every finisher becomes a Devil Dog with a standout medal. Registration is open to 500 and costs $45. Crossroads Challenge: Can’t choose just one… then don't. Crossroads Challenge allows athletes to "Run or Ruck, then Amuck." Runners may select either the 8K or Recon Ruck before participating in Run Amuck. Double the challenge, double the reward – as all finishers will receive the awards from both events and a prized celebratory Challenge medal. The medal is only available to the 250 individuals who specifically register for the Crossroads Challenge and not those who sign up for the two events separately. Registration fee is $90 for the Challenge. Get it on the family calendar. Text the running buddies. Pick a challenge (or two) and prepare for an unforgettable experience aboard the Base. Register for any of the FOUR events starting at noon EST on Wednesday, February 27. All events are qualifiers for the Distinguished Participant medal.